In a previous post I talked about our need for action steps to assist the process of sanctification (i.e. growth in holiness). The first “action step” I want to look at is the most important. If this one isn’t understood the other ones probably won’t see a lot of action. First, an example from Timothy Keller. “Imagine that a baby bird falls from its nest in the sight of a fox. The bird cannot yet fly (hence the fall), but there is a small protective hole at the base of [a] tree that is within a scurry’s reach. The fox pounces and sets out after the bird. What should the bird do? Of course, it should scamper into the hole to get out of immediate danger. But if as time goes on all the bird ever does is scamper, it will never learn what it has been designed for: to fly. And eventually it will surely be eaten by the predators it was designed to escape. In the short run, we should simply obey God because it is his right and due. 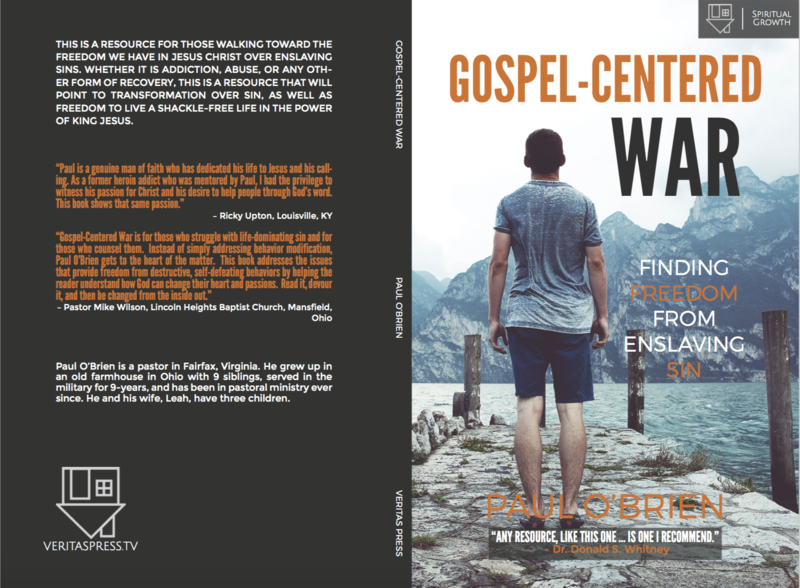 But in the long run, the ultimate way to shape our lives and escape the deadly influence of our besetting sins is by moving the heart with the gospel” (Center Church, 70). So, the first and most important thing we desire is for our heart to be moved and shaped by the gospel. When we have gospel motivation we will be invigorated, energized, and refreshed for transformation. This is what Paul repeatedly prayed for in others (e.g. Eph. 1:15-23; 3:14-21). The Bible tells us to do a lot of things and not do a lot of things. It tells us to be a certain type of person and not be a certain type of person. But this can be hard. I remember as I kid being told to do something by my mom. And you know what I would say to my mom after she told me to do something? I would ask, “Why?” I wanted to know how what I was doing made logical sense. Knowing why we are to do something and having motivation to do something is important. Paul tells the Corinthian church to work hard for the Lord (1 Cor. 15:58). But why? Because Christ has been raised from the dead and they will rise with Him so their faith and their work is not a foolish waste of time but actually makes a lot of sense (cf. 1 Cor. 15:14, 17, 20-22). All over Scripture we are essentially told to be transformed but we are motivated to be transformed by gospel truth (e.g. 1 Kings 8:60-61; 2 Cor. 5:14-15; Eph. 4:1; Col. 3:1-5). “Moralistic behavior change bends a person into a different pattern through fear of consequences rather than melting a person into a new shape. But this does not work. If you try to bend a piece of metal without the softening effect of heat, it is likely to snap back to its former position. This is why we see people who try to change through moralistic behaviorism find themselves repeatedly lapsing into sin… But the gospel of God’s grace doesn’t try to bend a heart into a new pattern; it melts it and re-forms it into a new shape. The gospel can produce a new joy, love, and gratitude—new inclinations of the heart that eat away at deadly self-regard and self-concentration” (Center Church, 67). The first “action step” is to be affected and motivated by the gospel. Of course, this is not something we can conjure up on our own. We need the Holy Spirit to work in us. However, it is vital that we give Him fuel to light our souls a flame. So, first, pray as Paul the Apostle did that God would enlighten our eyes to His truth that it would affect us deep within. Second, consume God’s truth. Read Ephesians and then read it again. Read Desiring God, The Knowledge of the Holy, or some other good Christian book that God can use to awaken your soul. Basically, we need to stoke the fire of our soul. So, stoke your soul! Be transformed by the renewal of you mind (Rom. 12:2)! What thoughts do you have? How has the gospel motivated you to be transformed?